PAMPANGA is not just your destination for the annual Good Friday procession of penitents, bloody from flogging their own backs with sharp bamboo sticks, before being crucified just like Christ Jesus (Barangay San Pedro Cutud, Mabalacat City). The province has more entertaining festivals, lots of recreational spaces, a wide array of shopping possibilities, hotels and resorts for that quick getaway and, more important, a sumptuous selection of native dishes readily available at decent establishments. Christmas Capital. 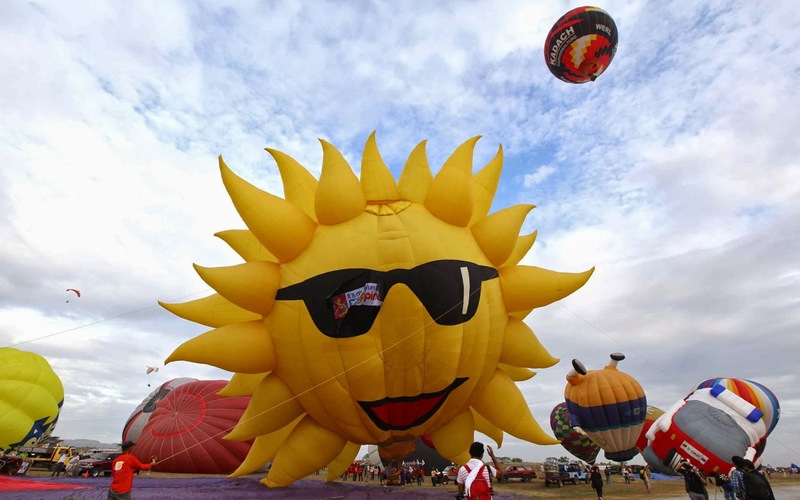 Another festival one shouldn’t miss is the Giant Lanterns Festival (usually held on Saturday before Christmas Eve) in San Fernando City, the provincial capital, where a competition among makers of the traditional festive parol from the city’s barangays is held. 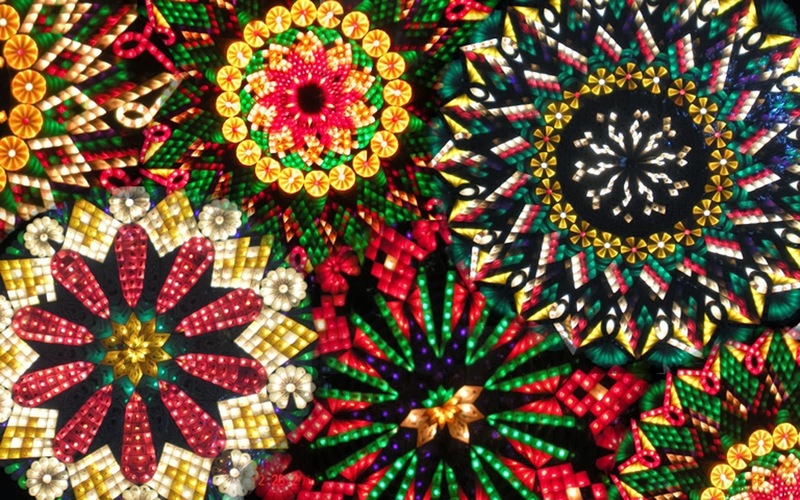 First made using papel de japon (Japanese paper), the unique Christmas lanterns of San Fernando are now made from capiz shell, resin or plastic and fiberglass, lit up by hundreds of lightbulbs, and with sizes as large as 20 feet. Heritage visit. The Betis Church (Saint James the Apostle Church) in Betis, Guagua, is a baroque edifice completed in 1770 by the Augustinian Order. It has been proclaimed a National Cultural Treasure by the National Museum. Its walls and ceilings are adorned with murals and paintings by local and international artists, while Renaissance-like frescoes depicting the Holy Family or Biblical themes adorn the ceilings, evoking a Sistine Chapel mood. There are intricate carvings in gold leaf, and detailed wooden sculptures—just fine craftsmanship that makes this church a true artistic haven. 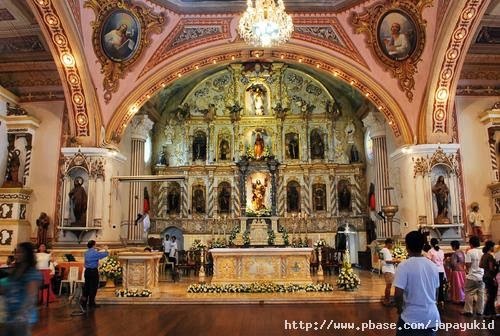 Several images of saints fill the magnificent retablo behind the equally ornate altar. Eat to your heart’s content. Capampangan dishes represent one of the more well-known native cuisines in the country. They are unique as the dishes are either created from offal, or ingredients normally not eaten by the squeamish among us. Everybody’s Café (MacArthur Highway, Del Pilar, San Fernando) is popular for its authentic Capampangan cuisine, friendly staff and overall cleanliness. The prices can be on the high side, but I think worth it, considering their superb taste. I personally love the fried catfish, fried crickets, duck adobo, to name a few. For the adventurous, try the betute (stuffed frogs) and camaro (fried crickets). Aling Lucing’s (Glaciano Valdez Street, Angeles City), the original purveyor of sisig (made from pig ears, cheeks and snout), has attained cult status among foodies especially after Chef Anthony Bourdain featured it in a “No Reservations “episode on the Philippines. (Photos of Bourdain now line the wall of the establishment.) Its sisig has chicken livers and is loaded with onions and served sizzling on a hot plate, with crunchy and soft bits thrown together—all perfectly seasoned—and naked, meaning no mayonnaise (thank God!) nor fried eggs. For halo-halo, try Kabigting’s (Poblacion, Barrio Paralaya, Arayat). It’s thick and rich with pastillas de leche (made from carabao’s milk), sweetened beans boiled for hours, thus taking on a halaya consistency, and cream of corn. This is definitely not your typical halo-halo, but a worthy alternative. Climb every mountain. Mount Arayat rises over 3,500 feet and will take about an entire day for hikers to reach the summit. Hikers are advised to check with the ranger station first before making the climb that takes them through lush foliage on clearly-marked trails. At the foot of the mountain, declared a wildlife sanctuary, is a national park where natural waterfalls, a swimming pool, park benches and huts are available for picnics. It is about 30 minutes from San Fernando, or less, depending on your vehicle. Watch the birds. From October to February, migratory birds from China, Siberia, Japan, the Korean peninsula and New Zealand make a pit stop at the Candaba wetlands on their way to warmer climes. A portion of the wetlands (Barangay Doña Simang), actually owned by town mayor Jerry Pelayo, has been declared a bird sanctuary. Buy furniture. You can drive all the way to Betis, in Guagua for export-quality intricately-carved wooden furniture where several factories are located. Betis Crafts Inc. (www.betiscrafts.com) is the most well-known among the local furniture makers. Getting there: A private vehicle is still the best mode of transport to Pampanga, especially if you’re visiting several sites or cities. Take the North Luzon Expressway; Pampanga is about 2-3 hours from Manila depending on your final destination. Bypassing the Balintawak Cloverleaf and using the Mindanao Avenue-NLEX interchange cuts down the travel time by at least 30 minutes. Buses that go to several points in Pampanga are Genesis Transport (www.genesistransport.com.ph), Bataan Transit Co. (www.bataantransit.webs.com), Victory Liner (www.victoryliner.com), Dagupan Bus Co. (T#727-2330/929-6123/928-5639), Philtranco (www.philtranco.com.ph). In most cities in Pampanga, you can either take a jeep or tricycle from the bus terminal to your end destination.